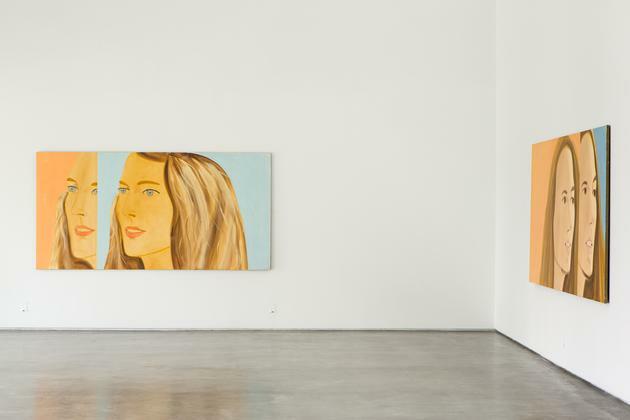 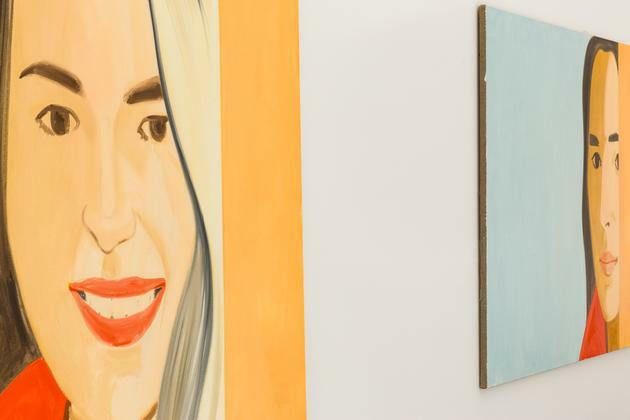 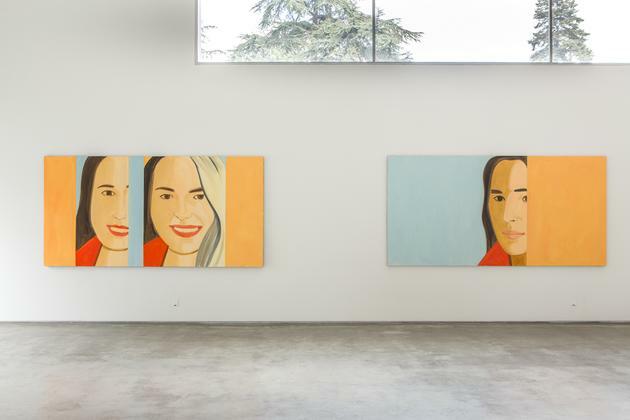 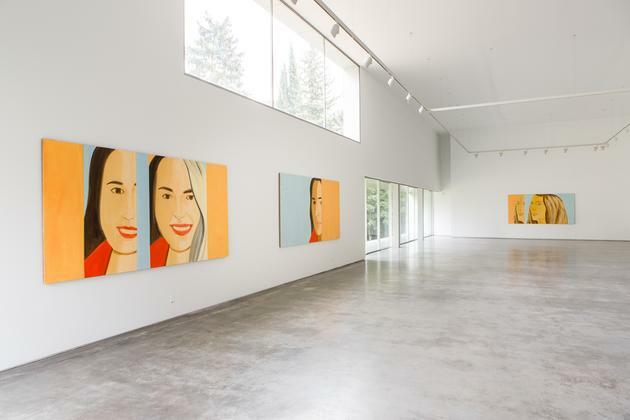 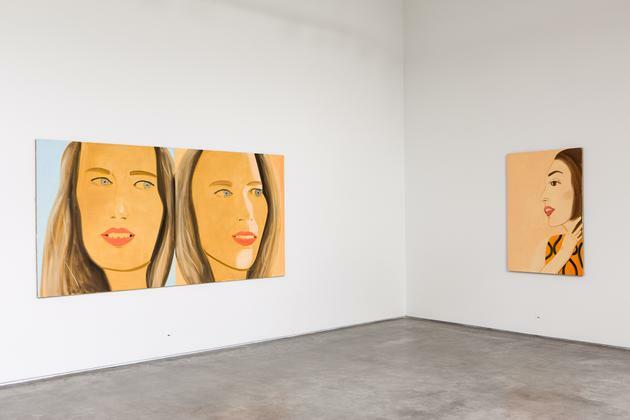 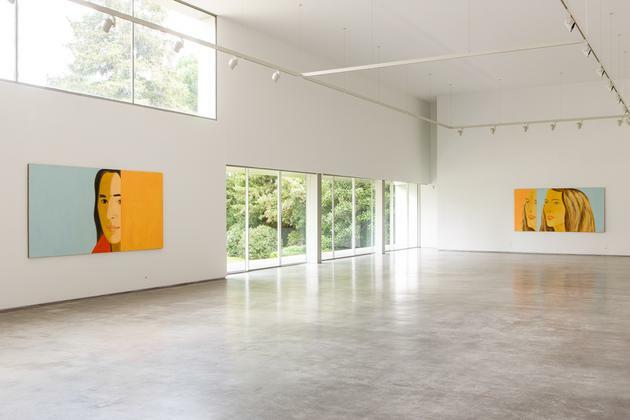 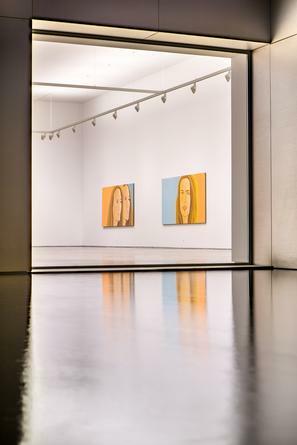 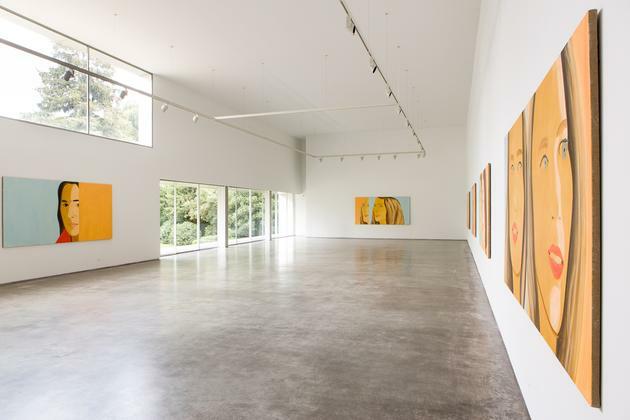 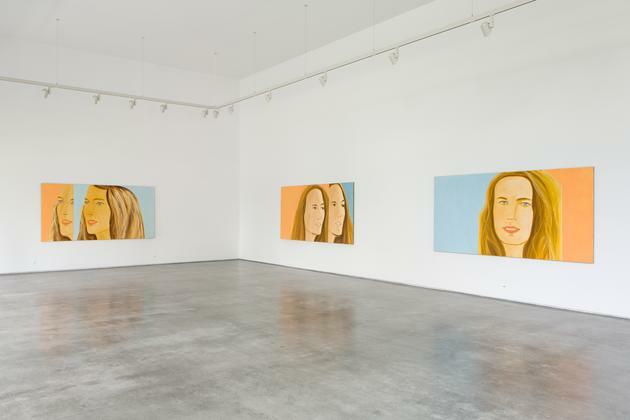 We are proud to present Splits by the American artist Alex Katz (b. Brooklyn, 1927), an exhibition of recent works centring on portraits of women. 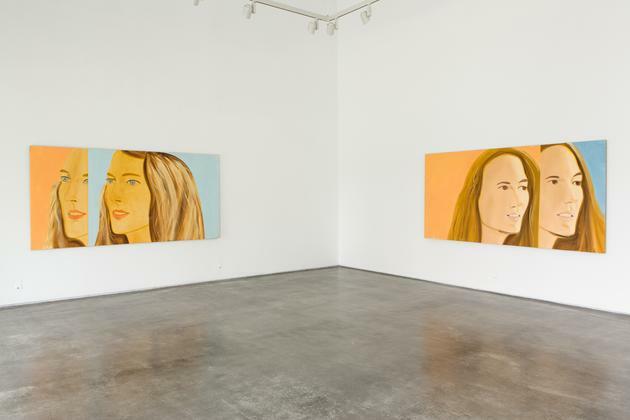 In this series, the subjects are shown both singly and duplicated, in profile and full face, and the images are split by planes of colour and by the way that Katz frames the composition, his characteristic close-ups. 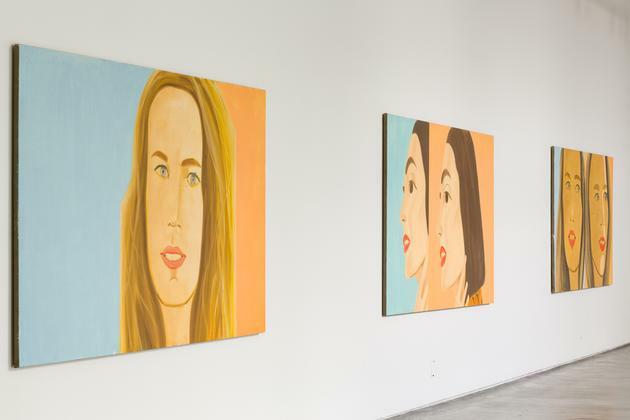 The neutral backgrounds that silhouette the heads are always either blue or orange here, and the painter plays with a reduced palette of flesh tones, reds, and browns of differing intensities that gives the series a unity within the diversity of feminine faces portrayed, some of which—Elizabeth, Ariel, and Vivien—are already familiar to those who know Katz’s work. 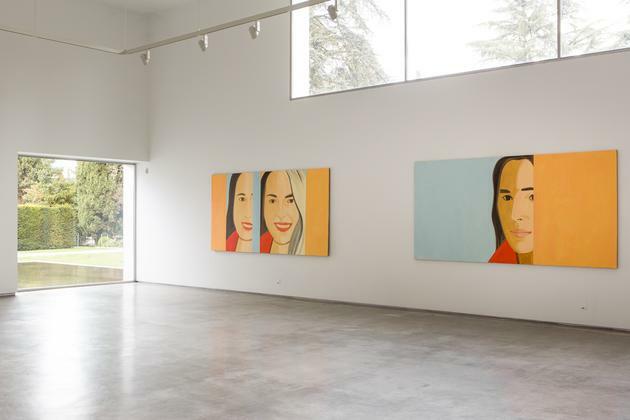 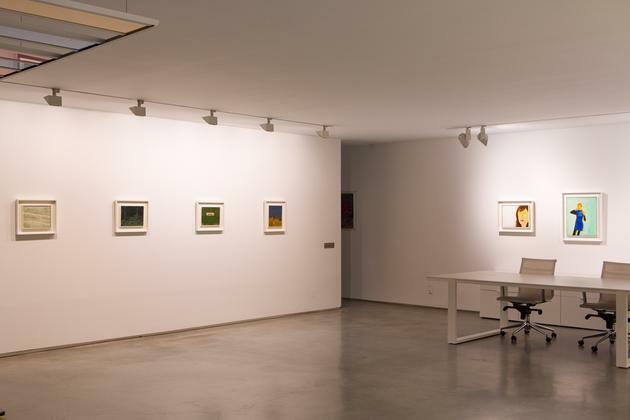 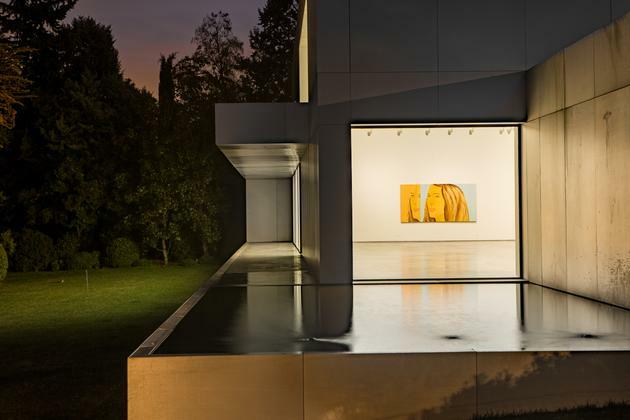 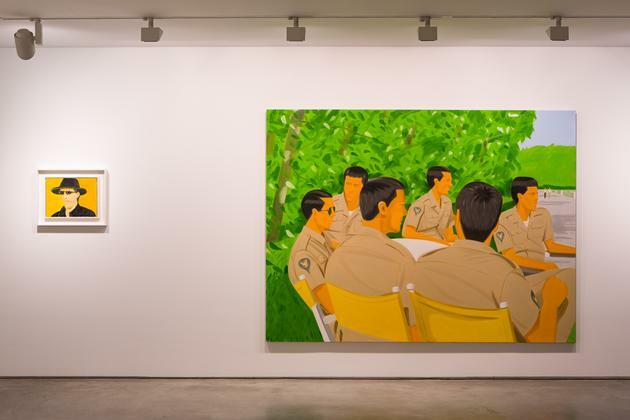 An article by Antonio Muñoz Molina recently published in Babelia speaks of Alex Katz and refers to “that fertile longevity that seems to be the preserve of painters: Monet, Titian, Picasso”. 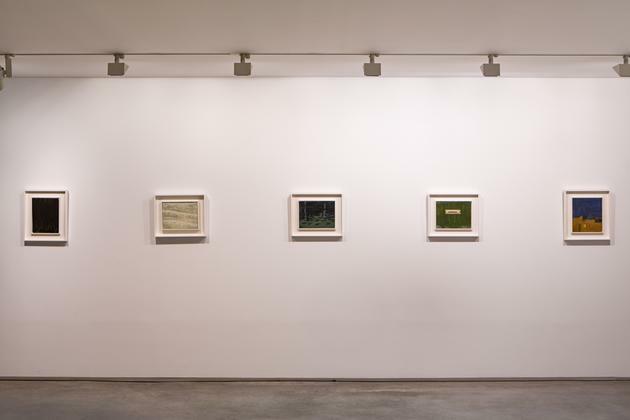 In another comment, Muñoz Molina recognizes the New York artist’s ability to “hold to his vocation and profession against wind and tide, against the successive fashions and orthodoxies that have been imposed upon the art world since his early youth, but he has never once taken refuge in any of them. 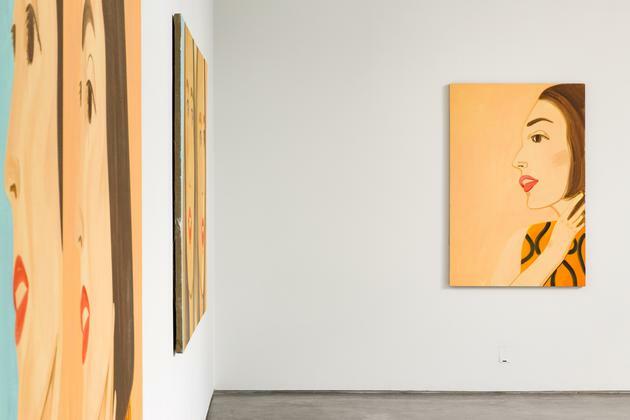 He purposefully wanted to be a figurative painter in the New York of the fifties, when abstract painting was compulsory. 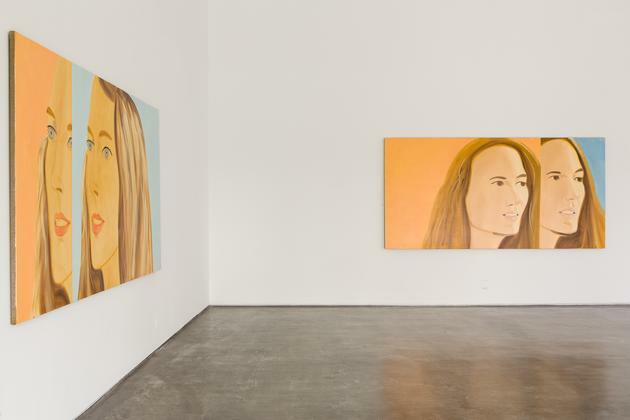 To the avant-garde, he was superficial and decorative; to conservatives, he was too modern”. 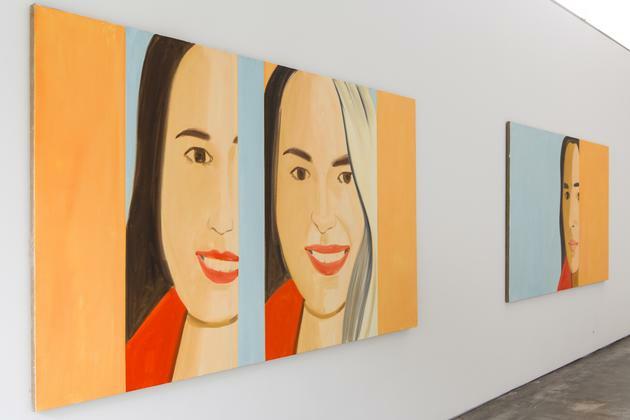 Katz’s most recent exhibitions astonish Muñoz Molina “for their excess and energy”, and he concludes: “what keeps him active, in full control of his creative faculties […] may be the simple awareness that he cannot stop doing what he does”. 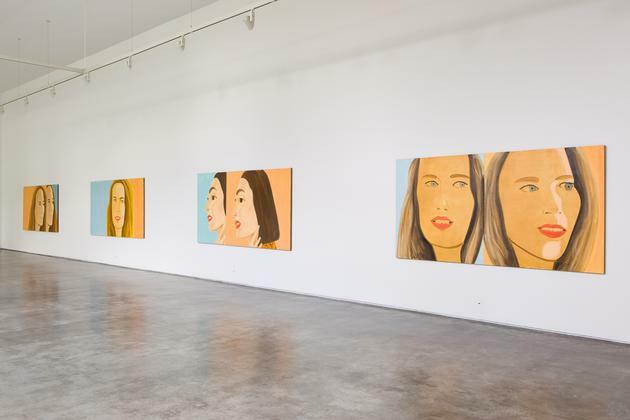 The collection of portraits making up the current show emphasizes the feminine presence, which has been a major and perennial feature of his paintings, not only in studio compositions but also in his plein air work. 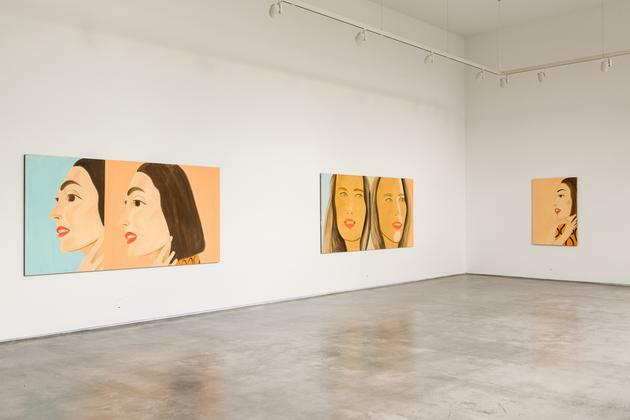 In his paintings, Katz aims to capture the beauty that he observes in the world around him, focusing on his family and friends, his social and cultural milieu. 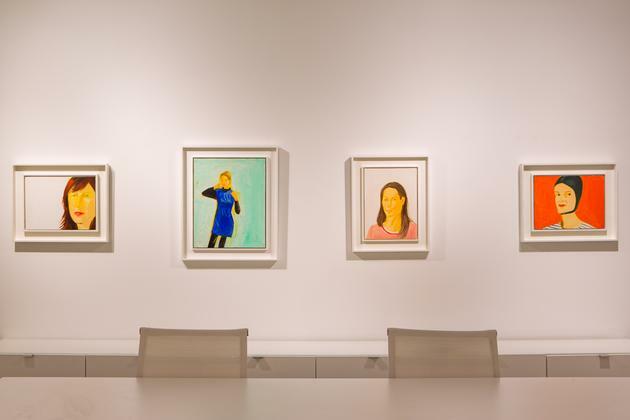 Painted from life, in a single session, his portraits offer an essential and timeless vitality. 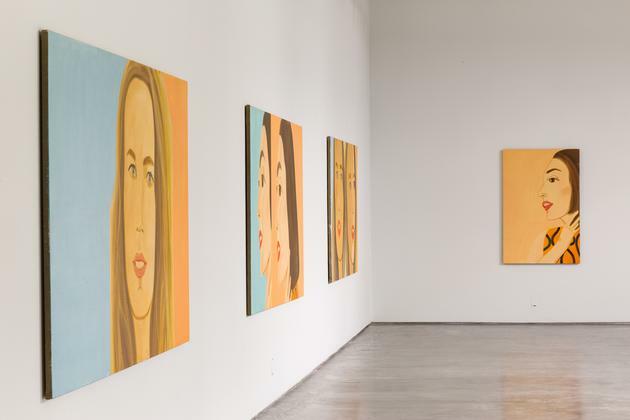 His models appear enigmatic and distant, like antique sculptures or Renaissance figures, yet at the same time definitely contemporary, intimate, and iconic. 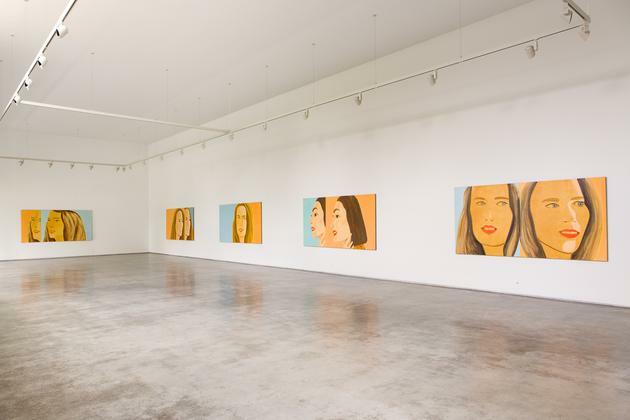 The economy and delicacy of his drawing, the nuanced use of colour, and the subtle lighting of the flat surfaces are defining features of his instantly recognizable style. 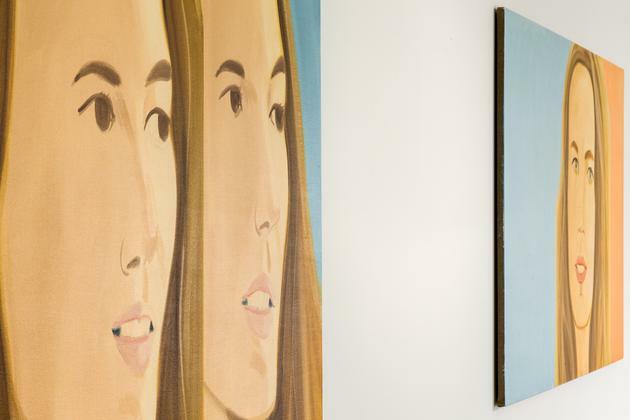 The stasis that such large format compositions might evoke is counterbalanced by the introduction of time, and therefore a degree of movement, by means of fragmentation and repetition, suggesting frames of a film or the same scene in continuous sequence. 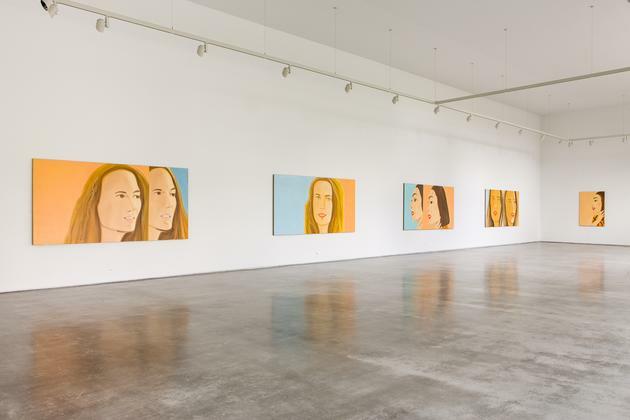 Katz duplicates an element, not as mirrored reflection as in earlier works, but by superimposing the images in a way that cuts across the faces. 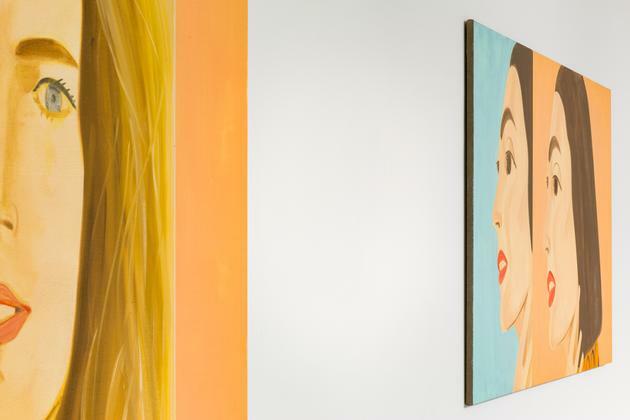 His cinematically influenced fondness of the most foregrounded of foregrounds fits the heads right to the edges of the canvas and the viewers’ gaze is caught by the eyes and lips of the women who seduce them from the other side of the pictorial plane, passing through the two-dimensional surface separating them. 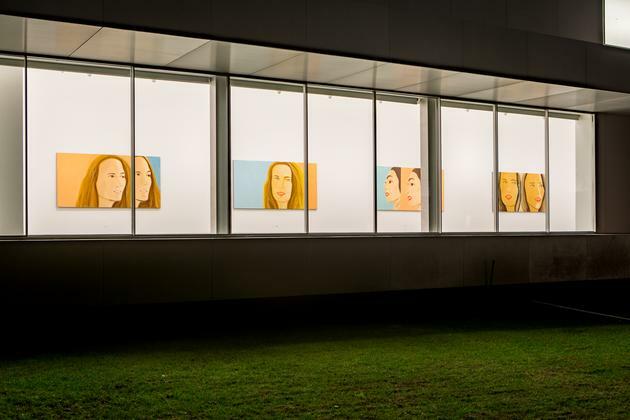 Alex Katz has received wide recognition internationally, having been awarded numerous prizes throughout his career, and his work now forms part of more than a hundred public collections, from MoMA, the Metropolitan, and the Whitney in New York, to Tate Modern in London, the MMK in Frankfurt, the Albertina in Viena, the Reina Sofía Museum in Madrid, and the Guggenheim in Bilbao. 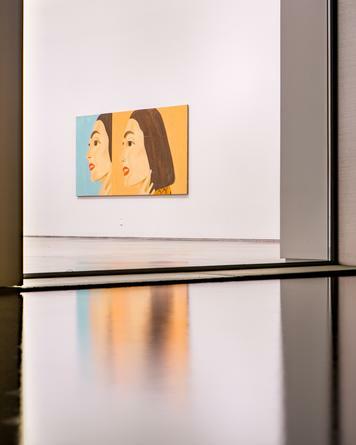 This year the Lotte Museum of Art in Seoul hosted the one-man show titled Models and Dancers and upcoming projects include participation in Tate Liverpool’s Artist Rooms and an exhibition to be held at the Brandhorst Museum in Munich from December 2018 to April 2019.